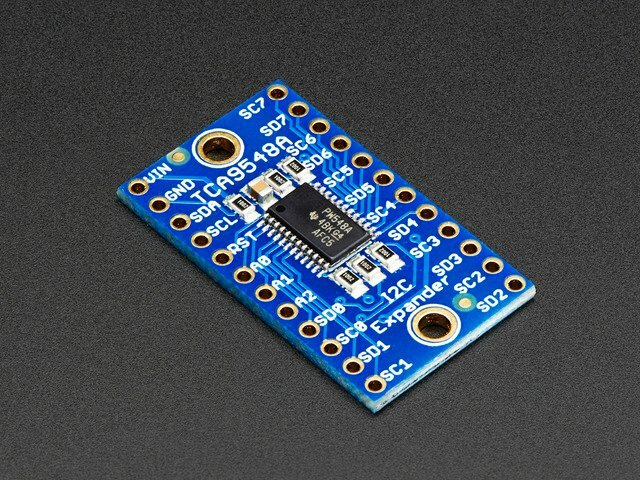 Like all Adafruit breakouts, we put this nice chip on a breakout for you so you can use it on a breadboard with capacitors, and pullups and pulldowns to make usage a snap. Some header is required and once soldered in you can plug it into a solderless-breadboard. The chip itself is 1.8V - 5V compliant so you can use it with any logic level. This guide was first published on Sep 11, 2015. It was last updated on Sep 11, 2015. This page (Overview) was last updated on Apr 18, 2019.